Once you’ve cut the toilet paper roll into rings, your little one can paint them in the color of her choice. 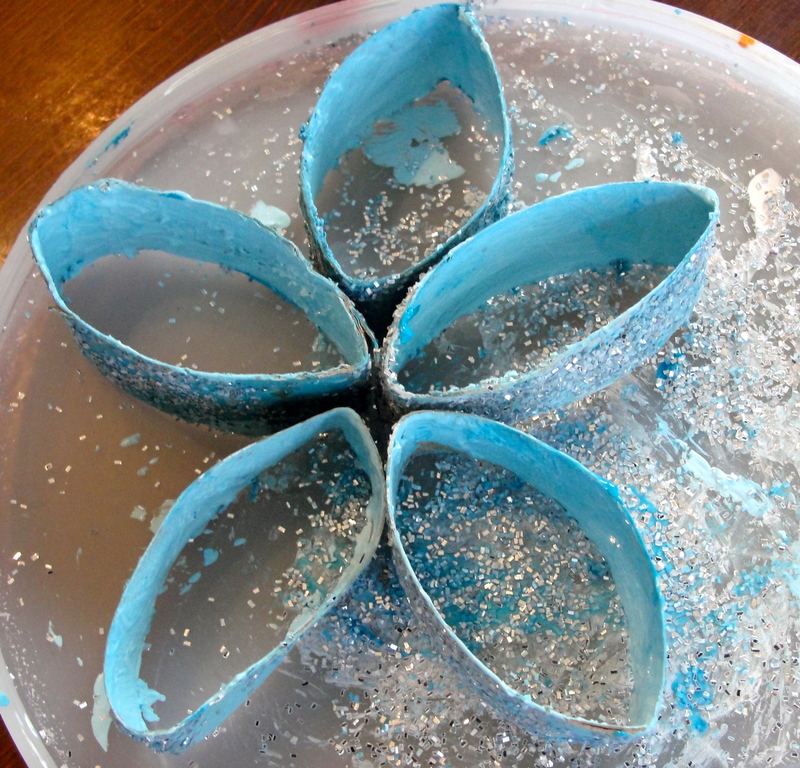 MP was partial to traditional white, but CP #1 mixed her paints and made a lovely Tiffany blue. 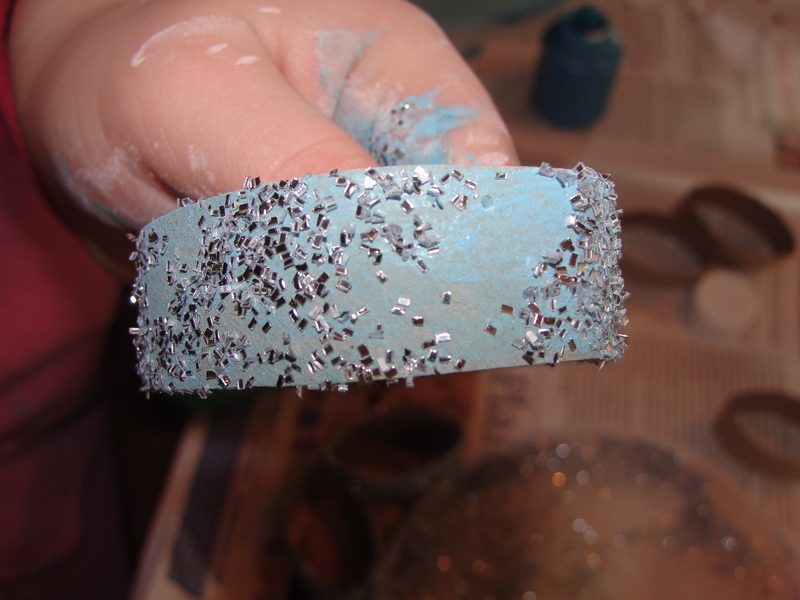 Before the paint dries, shake any color glitter you like on the painted rings. Once the paint is dry, your child can arrange the rings in the shape she likes best. 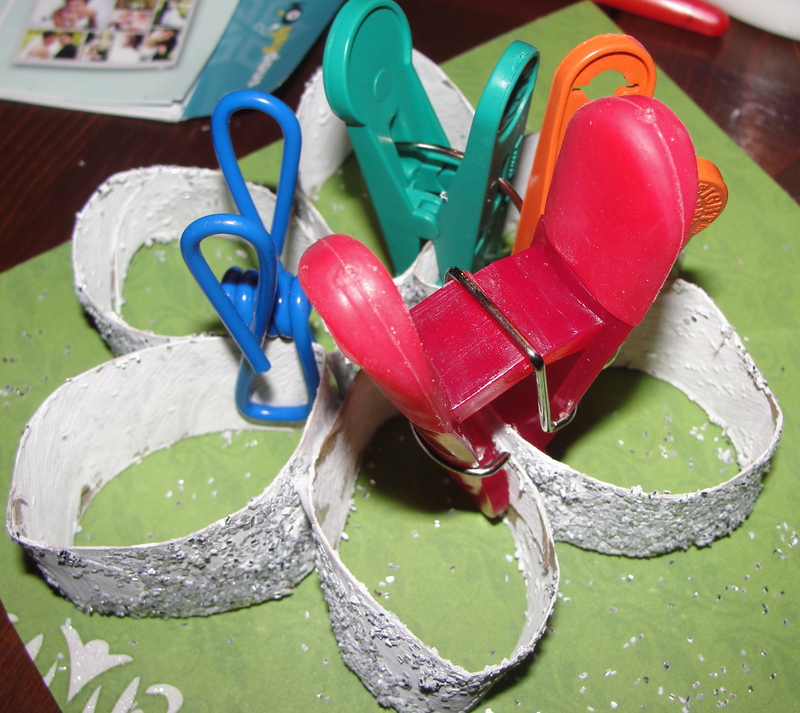 Next, apply glue on the outside tip of each ring and clip the rings together using chip clips or clothes pins. Give the glue enough time to dry before detaching the clips (we waited overnight). Not pretty… but the chip clips certainly got the job done! Finally, thread a ribbon in the center of your snowflake and tie a bow at the top. We found this pretty red and white ribbon at our local craft supply store, but any ribbon will do. 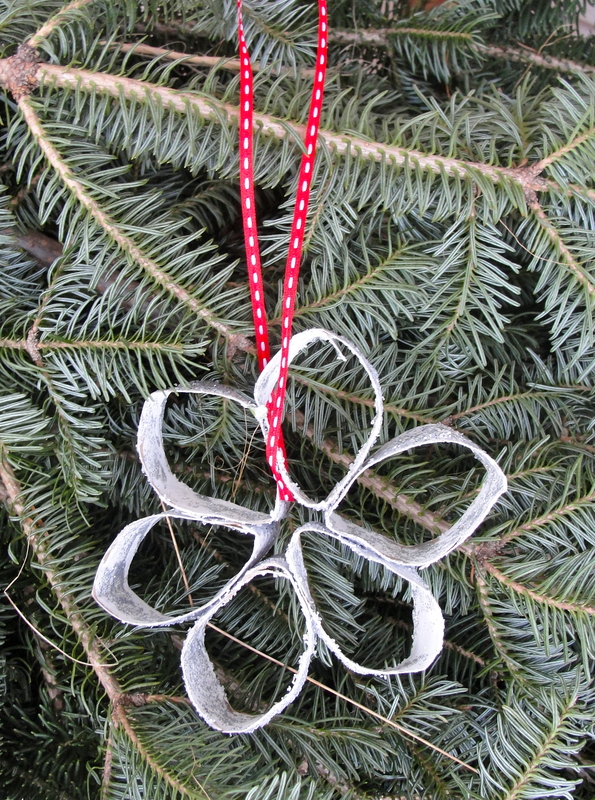 One of our finished snowflakes…. 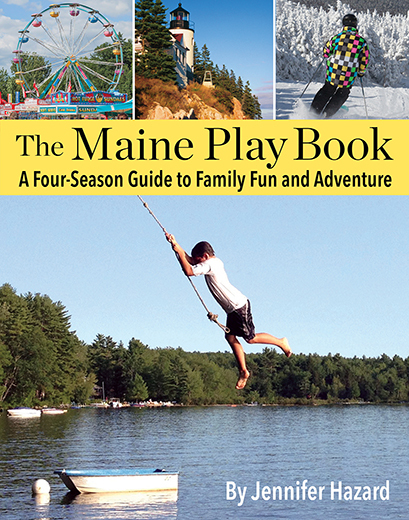 Hope you enjoy making this at home with your cute potatoes!